According to the USDA, dandelion greens rank fourth in green leafy vegetables for overall nutritional value. They rank third among the foods richest in vitamin A, surpassed only by cod liver oil and beef liver. Dandelions contain high levels of B vitamins, potassium, iron and calcium. Dandelions are so high in nutritional value that they have long been considered a spring tonic. You can enjoy these health benefits by digging and cooking dandelions from the wild. Locate young dandelions as they emerge in the spring before they have blossomed. Be sure the area has not been sprayed with pesticides or herbicides. Grasp the dandelion leaves in your left hand. Using your right hand, slide a sharp knife under the roots of the dandelion and cut. Pull the dandelion from the ground and shake excess dirt off the root. Continue digging fresh dandelions until you have a large bag full. Dandelions shrink in size, just as spinach does, when cooked. A large kettle of dandelions will shrink down to two cups of cooked greens. Clean the dandelions by hand, removing stray pieces of grass or other debris. Do not remove the individual leaves. Wash in cold water to remove dirt. Fill a two-quart kettle with fresh dandelions and cover with hot water. Add a pinch of baking soda to cut the bitterness. Bring to a rolling boil. Reduce heat and maintain a steady boil for 5 minutes. To remove bitterness, drain dandelions and discard the water. Cover with fresh water and bring to a boil. Boil until dandelions are soft. Serve steaming hot with melted butter, salt and pepper to taste. Adding a piece of slab bacon to the water when cooking dandelions will add flavor and reduce bitterness. 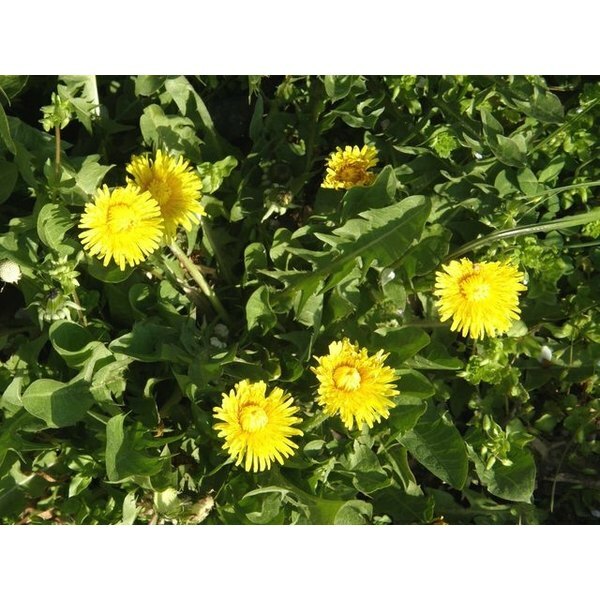 Dandelions grown in moist shady areas are sweet and tender if they are harvested early.